On Sunday, February 11, 2013, the gang at Hard Money Bankers appeared on the very well recognized Weekend Real Estate Report. Carl Delmont from Freedmont Mortgage hosted the show and felt having us as real estate investing experts would be a nice addition to his normal real estate, finance and mortgage itinerary. 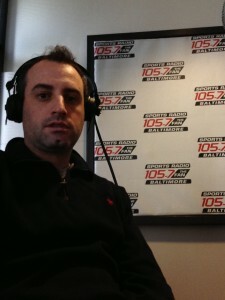 105.7 The Fan is a Baltimore based sport radio station with frequent time slots dedicated to local real estate and finance shows. Hard Money Bankers has been funding real estate investment transactions since 2007 and proven to be the leading private/hard money lender in the Baltimore and Washington, DC areas. Hard Money Bankers has been invited for more appearances on local radio and TV to help education real estate investors on how to get into real estate investing and how to get capital to fund their projects. Below is a recent blog post from Carl Delmont, the host of the weekend real estate report and Freedmont Mortgage. Join Hard Money Bankers for two upcoming online webinars and discover the top tips to striking successful real estate investment deals. Plus learn how to avoid the biggest mistakes made by real estate deal beginners. These are FREE webinars for Weekend Real Estate Report listeners. How to avoid the SINGLE BIGGEST MISTAKE people make when starting! How to find your very first deal.